When updating iPhone to iOS 11.4/11.3/11.2/11, users may meet with various issues such as stuck in recovery mode/Apple logo/blue screen, etc. If you have just met this problem and are unable to get your iOS device back to normal, what will you do? In this article, we will going to help you fix iPhone X/8/7/7Plus/6s/6/5s stuck on recovery mode after iOS 11 update/downgrade, just following us! Also read: How to Fix iPhone Stuck in Recovery Mode after iOS 12 Update. 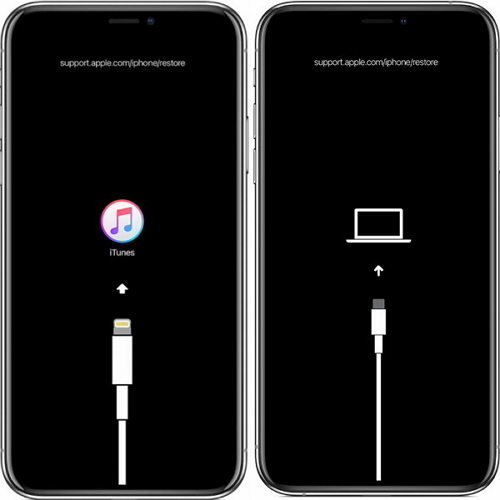 When an iPone or iPad is stuck in recovery mode during/after iOS update, you'll see connect to iTunes on device screen. To quickly get iPhone out of recovery mode, I recommend Tenorshare ReiBoot to you. This freeware is professional in fixing iOS stuck issues which including recovery mode, DFU mode, Apple logo, red/black/blue screen, etc. No need to restore with iTunes, no data loss. Download and run Tenorshare ReiBoot on your computer, then connect your iOS device with Tenorshare ReiBoot. The software will automatically detect your iPhone. For that your iPhone is stuck in recovery mode after iOS 11 update. You then will find "Exit Recovery Mode" button is highlight, click it and your iPhone will restart in seconds. This can be the most effective way to fix iOS 11 stuck on recovery mode for iPhone X/8/7/7 Plus/SE/6s/6/5s/5. Only one click can help you get your iPhone back to normal. 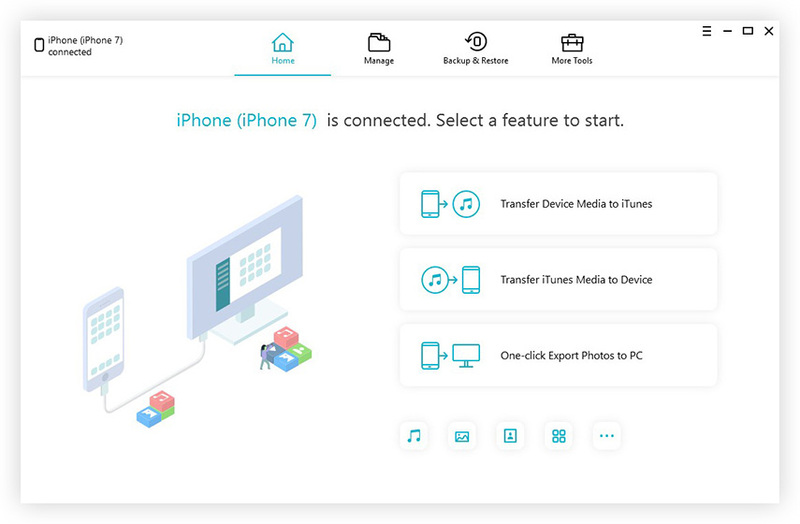 This is the conventional way of exiting iPhone recovery mode, and the procedures are different for different iPhone models. For iPhone 8/8Plus/X/XS, please press and quickly release Volume Up and Volume Down button, and then press and hold the Side button until you see the Apple logo. For iPhone and iPhone 7 Plus, please press and hold the Power/Sleep button and the Volume Down button simutaneously until the Apple logo appears. For other iPhone, press and hold the Home and Power button at the same time until you see Apple logo. When an iPhone is bricked in recovery mode during update, you won't be able to sync or use it in iTunes. 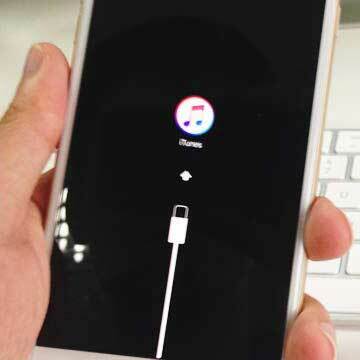 iTunes will detect an iPhone in recovey mode and you must restore iPhone before it can be used with iTunes. That's all about how to fix iOS 11 update stuck on recovery mode, if you have other problem with iOS 11 update, you can refer to: Top 15 iOS 11 Update Problems and get fixes.